Replica of the Ictineo I. Image courtesy of Wikipedia. Whose technology inspired Jules Verne’s conceptualization of the Nautilus? 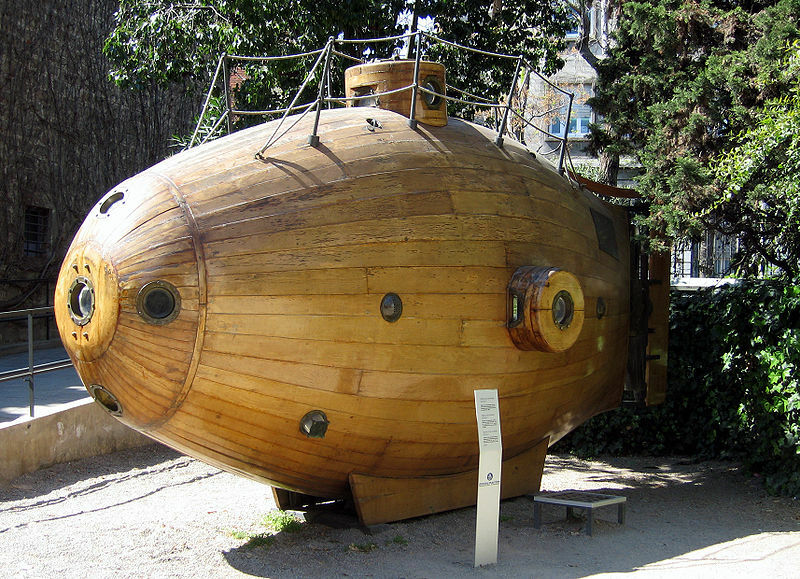 It was this guy’s, Spanish inventor and physicist Narcís Monturiol with his submarines Ictineo I and II. His series of submarines were the first successful working subs, improving upon plans made by inventors in the 17th century. Not only was Monturiol a talented scientist, he was also a political radical, whose ideas for safety for the working class gave him the motivation to invent his submarine. Born in 1819, Monturiol was the son of a cooper and eventually got a law degree in 1845. Though he never practiced, he got seriously involved in progressive causes, writing pamphlets promoting feminism, pacifism, and utopian communes. He also was the founding editor of the feminist newspaper La Madre de Familia and La Fraternidad, Spain’s first communist newspaper. While living in Cadaqués, he witnessed the death of a coral harvester by drowning and came away determined to improve the safety conditions for these workers. That led him to work on building a working submarine. Ictineo I (a word combining the Greek words for fish and ship), is the first submarine he built, and it launched on June 28, 1859, in the Barcelona harbor. Made of olive wood and reinforced with rings of copper 2 mm thick, the craft was only about 23 feet long and run by a crew of four people. During its test run, Ictineo I plummeted to the depths of only 20 meters, and ran into some pilings that cause it to be damaged. Throughout the summer, this submarine went through a series of 20 more test dives, and although it could successfully move underwater, the submarine was too slow (mainly because it was moved by human power). That sub was accidentally destroyed when a cargo ship ran into it while it was berthed. Cross-section model of Ictineo I. Image courtesy of Low Tech Magazine. Click for link. That wasn’t the end of Monturiol’s underwater plans, however. With money raised from subscriptions to his company La Navegación Submarina, Ictineo II was built and launched on October 4, 1864. Instead of using human power, Monturiol invented a special chemically-driven engine coupled with a steam engine to propel the craft. This sub was able to dive 90 feet and stay underwater for as along as 7 1/2 hours. 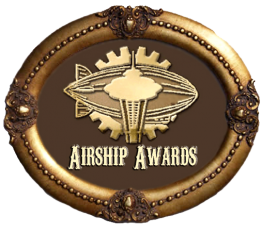 It was also advanced for its time by having an early form of an anaerobic (air-independent) propulsion system. Although Ictineo II was very much a successful improvement upon the first, Monturiol was never able to use it to help his coral divers. The submarine ended up being seized by bank creditors in December 1867 and destroyed. Afterward, Monturiol never got the funds he needed to build any more subs, and his great technological advancement became lost to history until resurrected by the Germans during WWII. Monturiol’s underwater legacy has been remembered since then. A model of Ictineo I stands at the entrance of the Marine Museum in Barcelona, and a replica of the Ictineo II was rebuilt in 1992 and is currently on display by the harbor. It’s nice to see the spreading of Scientific History from Spain 🙂 Narcís Monturiol is one of my best favorite inventors. By the way, maybe you can be interested that he was an important intellectual on the utopian socialism, which has a relationship with the optimistic science and technology, and the Romantic science. I will love to recommend a book from Santiago Riera i Tuèbols, but I think the editions are only on catalan. Thanks for the correction on the name–I saw both spellings and so ended up choosing one. I’ve fixed it in the article now. And the link top Ictineu-3 looks awesome! Posting it to my other social media platforms….. Thanks for the interesting article, I didn’t know that they had a submarine that worked THAT long ago, pretty cool and almost gives off a steam-punk vibe for today’s world.